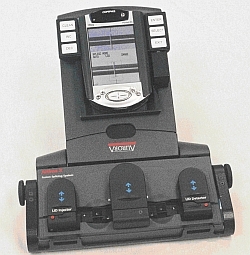 Aurora Optics, Inc. introduces the world’s first hand-held fully automatic core aligning fusion splicer. 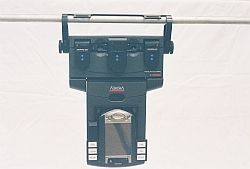 With a fusion head the size of a hard-cover book, the Altima X can go anywhere – up a ladder, hanging from overhead aerial strand, or in the tightest of cramped cabinets. Perfect for Fiber to the Home (FTTH). Yet inside the miniature fusion head Aurora has packed both of the most advanced fiber core alignment technologies – PAS and LID – for the ultimate in versatility, accuracy, and yield even in the most adverse environments. LID mode: functional on all colors of 250 um coatings, most colors of 400 and 900 um coatings. Core alignment even on MM fibers. one of many possible orientations.